Rotunda, Toronto City Hall, 100 Queen St. W.
December 31 and January 1: 9 a.m. to 4 p.m.
January 2 to 4: 9 a.m. to 9:30 p.m.
Monday: Noon to 9:30 p.m.
Tuesday to Friday: 10 a.m. to 9:30 p.m.
December 31: 9 a.m. to 4 p.m.
January 1 to 4: 9 a.m. to 9:30 p.m.
Monday to Friday: 10 a.m. to 9:30 p.m.
Saturday: 9 a.m. to 9:30 p.m.
Also, it’s time for you to consider your New Year’s resolutions for 2013. Toronto residents are considering their New Year’s resolutions for 2013 and improving health is sure to be the focus of many resolutions. 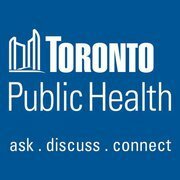 Toronto Public Health (TPH) can help individuals achieve their health goals. Want to quit smoking? Talk to a nurse at 416-338-7974 to get started. TPH is offering 1,000 free quit kits, which include sugarless gum, a stress ball, a toothbrush and other tools to help you through your cravings. After all the holiday indulging, the start of the new year is a great time to get back on track with healthier eating. Start by cutting down on portion sizes. Read labels for calorie counts and for fat and sodium content. Toronto residents and visitors can also ask restaurant staff for the nutritional information diners need to make healthier meal choices, or can check for the information online when they order take-out or make a reservation. TPH’s registered dieticians can answer nutrition questions to help individuals meet their healthy eating goals. More information about these and other health-related matters is available at 416-338-7600 and http://www.toronto.ca/health.